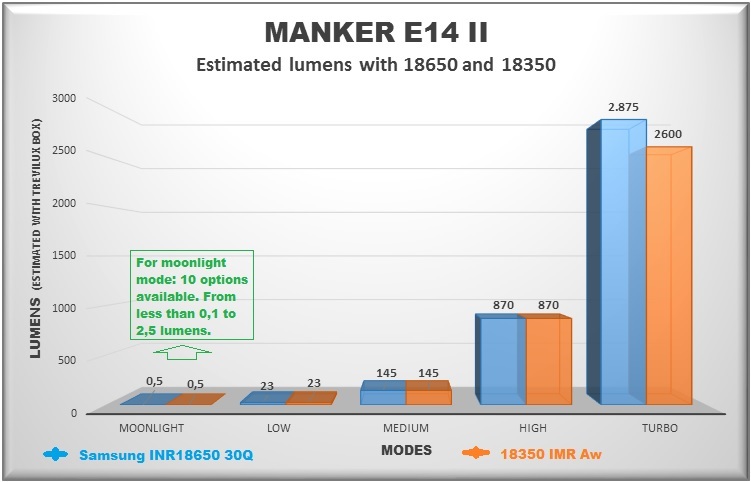 This is the Manker E14 II , sent to me for review from Manker and no other compensation other than me keeping the light. The E 14 II features a Quad copper board and TIR optics with XP-G3 emitters (cool white) in the sample I received. It will also be available with the Nichia 219C emitters when this light is released. With the Quad optics / TIR set up and AR lens , the light makes a nice floody beam with a good coverage area , to be as small as it is. The beam has somewhat of a hotspot at closer distance but transitions pretty smoothly and is much more floody as you get a greater distance from what you are shining at. First impressions right out of the box was that this is a heavy light for the size , but then I thought about how heavy copper is and realized that would make it heavier than an all aluminum light , so I moved on. The looks of the light itself are pretty nice to me personally , with the black and copper together and the overall design is also nice to my eyes. The E 14 II has a couple of features that got my attention other than the looks also. It has the on board Micro USB charger built in that is hidden under the head of the light (actually a cut out in the threads of the tube). When you unscrew the head the charger port is exposed and you can then charge the cell with any USB compatible outlet such as from your computer, with a 12v DC charger in a vehicle , or with a USB wall adapter. There is an indicator light also built in on the top portion of the charging port , which is also exposed when the head is removed , it will show Red when charging and Blue when the cell is fully charged. The cell can also be taken out via the tailcap and charged externally as with any other light , so everyone is covered on the charging of the cell. The second thing is that the E14 II has the ability to run on 3 different cells , with those being an 18650 , 18350 , or a CR123A cell. This is accomplished by removing the center portion of the tube which is threaded on both ends and the tailcap threads match both the pieces of the main tube sections to make the shortned tube length. In using the shorter configuration the light will be approximately 78 mm long instead of the 108 mm I measured it at with the 18650 configuration. This light also has a user configurable Moon or Firefly mode with 10 different levels of output that you can set to the desired level you want and leave it set there , or change it later if you so desire. The lowest Moon mode levels were unreadable on my light meter , with the highest setting in the Moon mode being at 2.0 lumens. 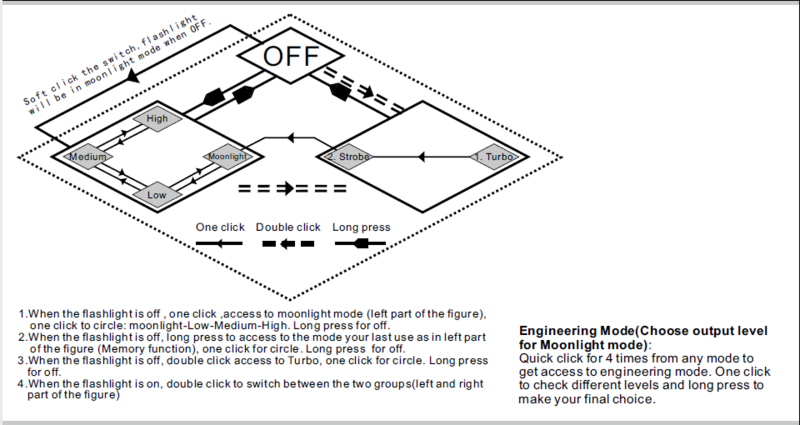 The regular modes of Moon / L / M / H / are accessed by a quick click to turn the light on and then a click to cycle each mode. The Turbo mode can be accessed from any mode including off with a quick double click and the strobe is a quick single click when in Turbo. There is also last mode memory and to get to the memorized mode is a semi long press from off (approximately 1/2 second) . The modes also step down backwards once you reach Hi mode , meaning if the light is turned on in moon mode , you go up a level with each click until in High mode and then each click takes you back down one level from there and as mentioned the last used mode , or mode the light is turned off in , will be memorized then (other than Strobe). A long press turns the light off. The Anodizing was near perfect when I took the light from the box and the copper head appears to have some kind of coating on it , such as a clear coat , varnish or something of that nature to keep the finish from tarnishing or oxidizing as fast as an unprotected finish would. The light has an E-switch in the head and NO tail switch , so everything is controlled from the single side switch on the light. The threads are all very well machined and function smoothly and the knurling is well done. Overall the fit and finish of the light itself are very well done and the light does have some nice features to it that I DO like. Now that I got all that covered I will get to the bad news (my personal dislikes)……..
First I feel the clip is made a little bit flimsy for a light as heavy as this one , as it is not that hard to pull off the tube and also is easy to bend away from the tube when pulled on at or around the open end , meaning there is not alot of tension or stiffness to the clip to hold tightly when pocketed. Second I would like to see the clip made to be black to match the Anodizing or silver to match the ring around the switch. With the Copper head , Black Anodizing , Silver ring around the switch button and kind of a gun metal color of the clip , there just seems to be too much that doesn’t go together or match for my personal taste. At 23 seconds in Turbo mode with light on desktop………. 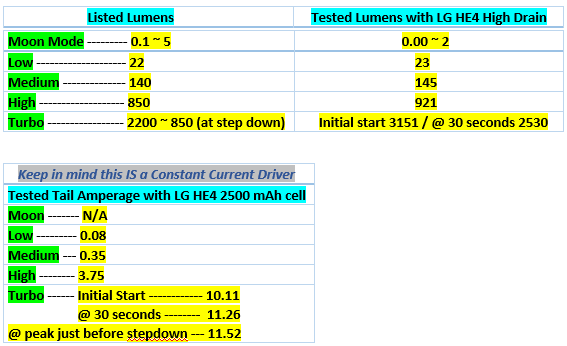 Here is a chart with the readings I got for Lumens and Amperage (Amps taken with Uni-T e210 clamp meter)………. The outside Live footage is not as true to what I see with my eyes as the still beamshots in the video are with my cheap video camera. For those who do not want to watch the whole video , the actual amperage readings of the light in Turbo mode start at 7:23 of the video timeline , the heat example using the water starts at 9:14 of the timeline , the still shots, semi teardown , and still beamshots start at 9:54 of the timeline and the live outside footage comparing the E14 II with the Olight X7 Maurader at 3000 lumen setting start at 18:07 of the timeline. Video followed by the listed specs………..
Woohoo! A burner! That quad is in too small a light for a full on top cell, there’s just not enough mass to handle the heat! But I’m sure it’s a “blast” to play with! Probably a bit safer with a Panasonic PD or PF, something in that line that won’t push it so hard. And of course, only use Turbo when it’s really necessary and for a short time, monitoring it. Copper on black looks pretty nice, don’t it? Thank you for the review robo819. I like how you can configure the moonlight mode with 10 different levels to choose from. And here I thought my ZebraLights with 3 different moonlight levels was good. 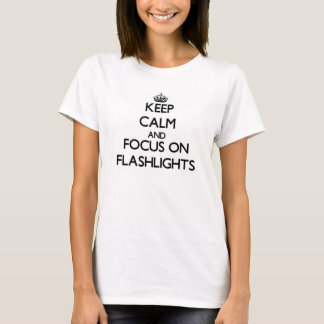 I’d rather use my flashlight around the house than turn on the lights. Yes the heat is on up there without a doubt. I don’t have any 18350 to test with but I plan on getting a few in the future. I do like the looks of the black and copper also. YW always glad to do the reviews. The different levels are a nice feature and with those pretty much anyone should be able to find about the perfect mode for their liking I think. Excellent review! Do I hear group buy? I have a lot of irons in the fire right now to do a GB……………. But you are more than welcome if you like. Because it has a tailcap switch even if the head gets blistering hot to touch, you can still hold and operate it ok. Though you may have to wait a few minutes before putting it back in your pocket after operation. Because the new E14 has a head-mounted sideswitch this isn’t an option. You have to touch the head in order to operate the light. I think lights like this would benefit from a plastic or rubber insulated rest mounted to the bottom of the heatsink and around the button. That way, you’d have a place to safely rest your fingers and thumb without burning yourself. Alternatively, maybe a plastic cage or rubber cage mounted around the head, with gaps for heat to get out, but enough to keep the hand and fingers from directly touching the head. I also find the huge copper head on the E14 mark 1 makes the light a bit too heavy to pocket EDC. I feel it in the pocket much more than other lights. I think I’d probably have preferred an aluminum head. 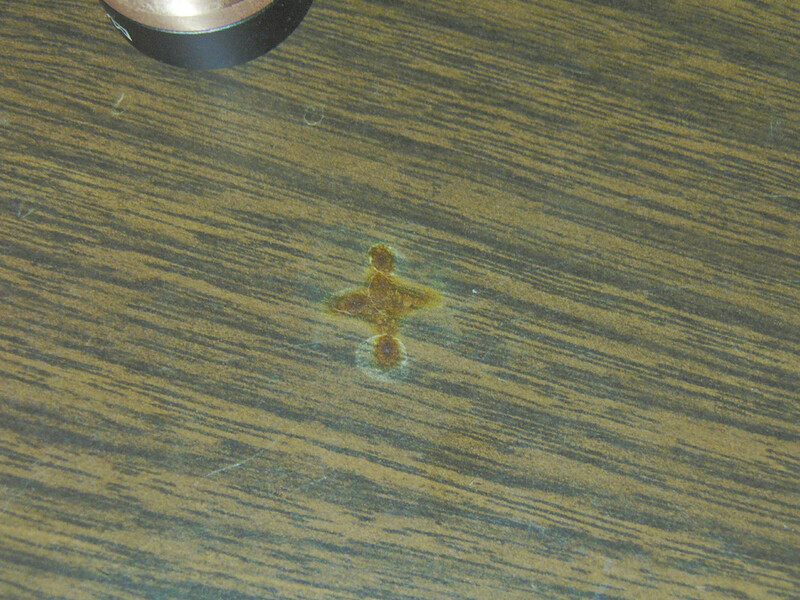 I sure wish the copper was gold plated so our hands don’t get copper oxidation on them, and a copper smell too. Or at least make gold plate an option. How much is the parasitic drain of the e-switch? Glad to do the reviews…….. There is nothing mentioned in the user manual and nothing I have found in the UI , other than the mechanical lockout. With the constant current driver the light maintains the high mode until around 3.2 volts on the cell and then the light looks like it goes into a super fast strobe mode and will dim to about the medium level after a short time. I did not run it until the light turned off to see if it would keep running or shut down from there. I do not know what the parasitic drain is on the switch. If I can get that tested soon I will post. Handling copper only leaves a bad smell on your hands if your hands are not clean. The copper is an antibacterial metal, killing germs and bacteria on your hands which in turn is what smells. 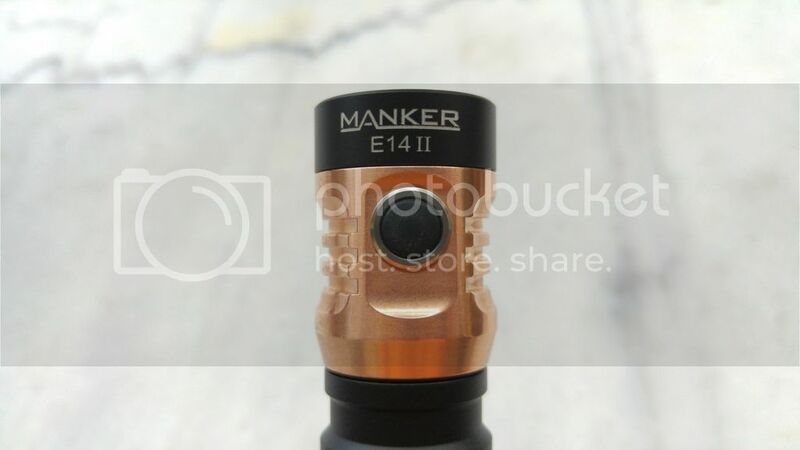 A batch of these Manker E14 II’s have made their way the the U.S. this week, Wednesday. But with the Blade Show going on in Atlanta, Friday through Sunday. No one has had time to unpack them yet. I love the smell of copper on my hands after handling a copper light. Reminds me of money. I hear ya Enelooper, I always have the smell of greenbacks on my hands after buying my copper lights, exchanging currency for copper leaves that pleasant smell and keeps my billfold neat and trim. Thank you Trevi_lux. Mighty impressive. Lets not tell Manker, as they may start turning them down some.